Syracuse, NY. 501 Catherine Street, where famed author F. Scott Fitzgerald lived for less than a year when he was child. Scheduled for demolition. Photo: Samuel Gruber 2016. Syracuse, NY. Northrip Apts, Catherine Street. Scheduled for demolition. Photo: Samuel Gruber 2016. As reported on Syracuse.com and in the Daily Orange, property abandonment and fire have led to planned demolition of one of the more architecturally interesting Northside blocks situated off James St. Though the pending demolition of the entire west side of the 500 block of Catherine St. has garnered attention because famed author F. Scott Fitzgerald lived briefly while still a child in one of the doomed buildings, perhaps what should be regretted more is the larger loss to the historic architectural fabric of this part of the city. 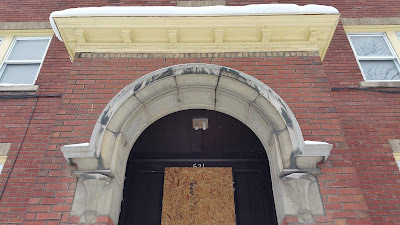 505 Catherine Street was recently was down after several fires. 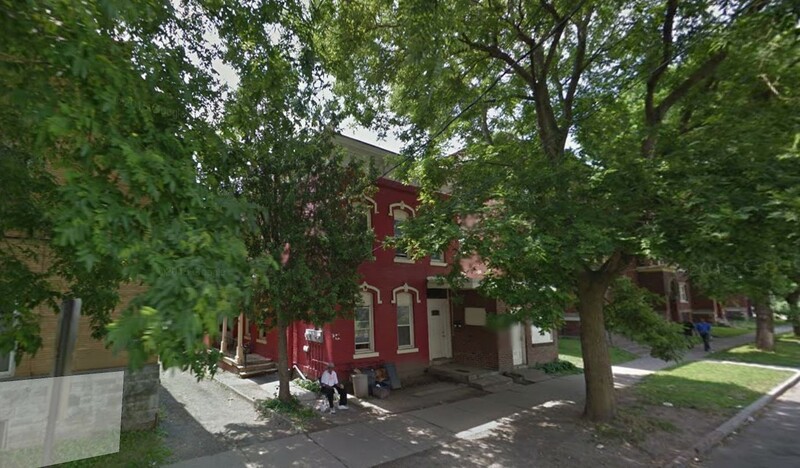 501 Catherine on the NW corner of Willow Street, will also be torn down since it too, was heavily damaged. According to the Syracuse.com story a third building - the substantial Northrip Apartments - will also come down to create a large lot for new housing development. Fitzgerald, who was born in 1896 in St. Paul, Minnesota, spent much of his first decade in Upstate New York where his father worked for Proctor & Gamble. 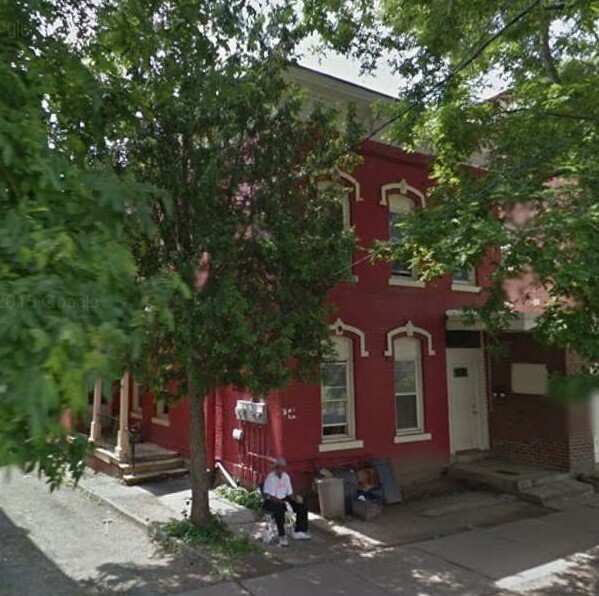 Though mostly based in Buffalo, the Fitzgeralds lived in Syracuse between January 1901 and September 1903. According to Dennis Connors, Curator of History at the Onondaga Historical Association, they first lived at 603 W. Genesee St. (now demolished). 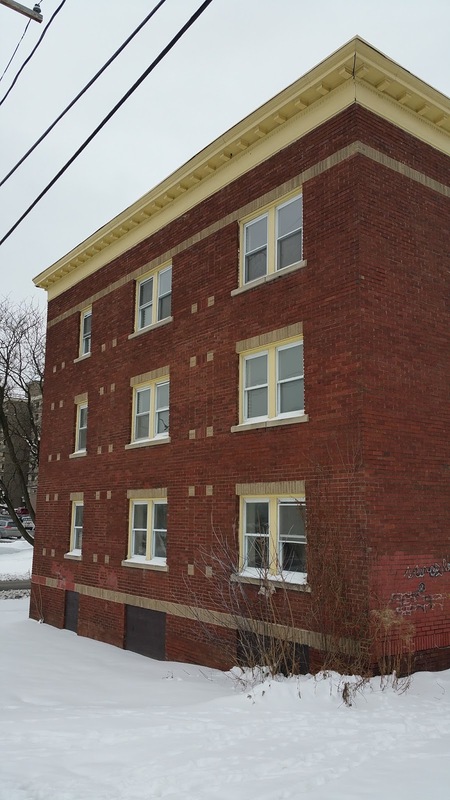 and then at the still-new Kasson Apartments on James Street (built 1898, recently restored), before moving to 501 Catherine, also built in 1898, where they lived for less than a year. Syracuse, NY. View from 501 Catherine Street of the Kasson Apartments on James St. across now empty lots (surface paring). 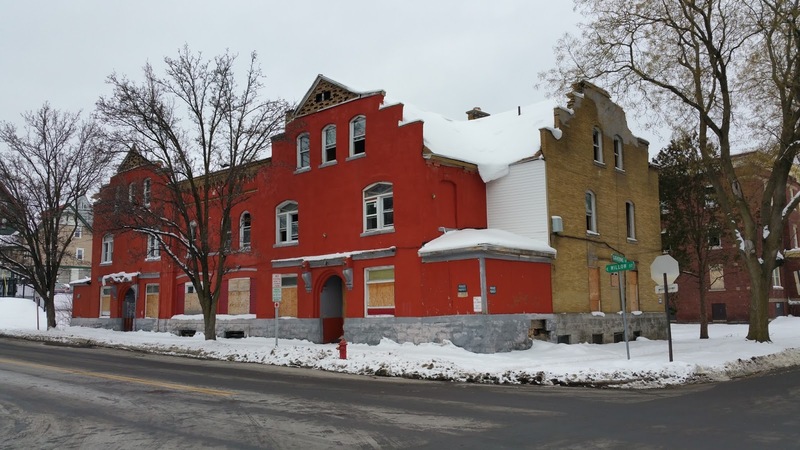 Because the Kasson was one of the tallest buildings in the city when built, in 1898 6-year-old F. Scott Firzgerald would have been able to see his old home form his new one. Photo; Samuel Gruber 2016. 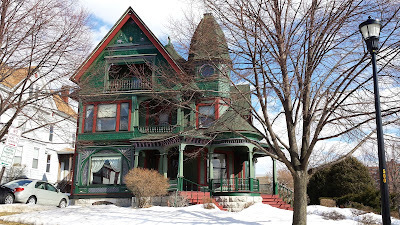 There is a good reason to publish a literary tour of Syracuse (Edward Noyes Westcott, L. Frank Baum, Fitzgerald, Eric Carle, Joyce Carol Oates, Michael Herr, Raymond Carver, Tess Gallegher, Tobias Wolff, David Foster Wallace, Mary Karr, and many others). 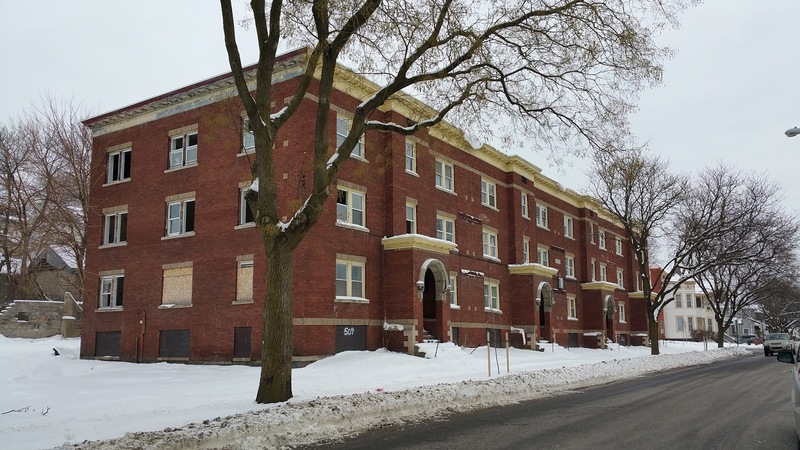 For this, the Kasson Apartments on James Street is the best stop to tell the Fitzgerald Story. 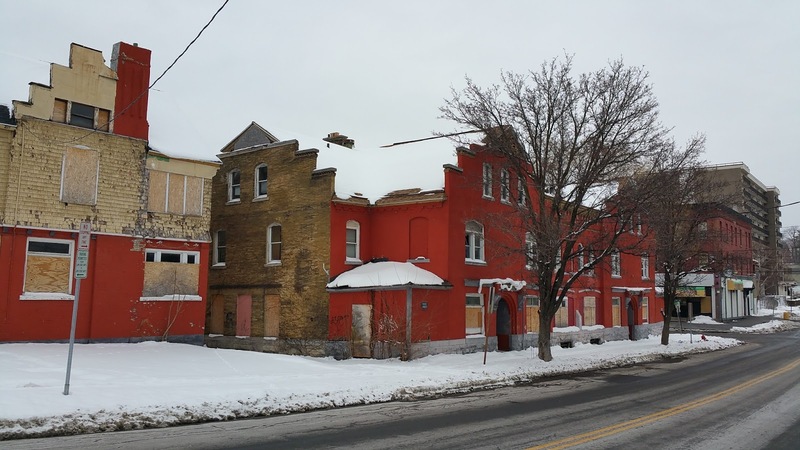 If any of these buildings were located in better neighborhoods, or certainly in richer cities, they might be saved and renovated. 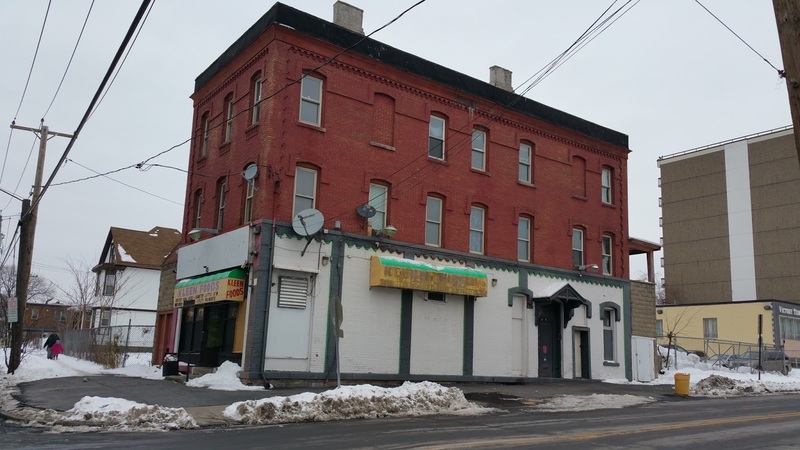 But the Northside of Syracuse is particularly distressed – and with an impoverished and mostly disenfranchised populate, including large numbers of immigrants, there are few, if any, advocates in the area to protect buildings – when the needs of the people are so great. Many buildings on the Northside have come down in recent decades, especially in the past decade for expansion of Saint Joseph's Hospital. Still, most of this new demolition is preparatory to new construction - which is better than in the recent past, when demolition has led to empty lots. The opening of the Northrip Apartments got quite write-up (and ad revenue) in the Post-Standard of November 21, 1926. 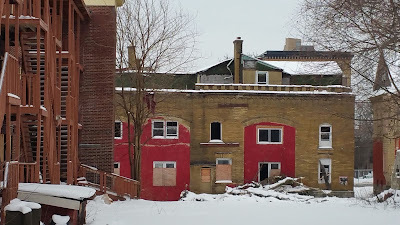 Two fires in a still attractive 19th-century brick Italianate house (505 Catherine St.) in December 2015 led to its demolition. 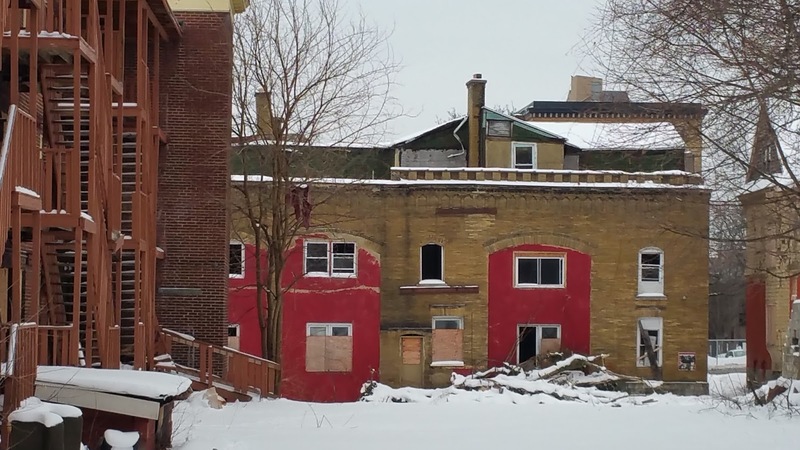 One fire spread to the larger turn-of-the-20th century apartment house on the corner with Willow Street, and that building - where F. Scott Fitzgerald once lived - was heavily damaged, and it too, is now scheduled to come down. Syracuse, NY. 505 Catherine St. (demolished after fire, Dec. 2015). Photo: Google Streetscape. The corner building - the one where Fitzgerald lived - was an attractive eclectic apartment building, mostly Romanesque inspired, but with stepped Flemish gables and some classical brackets. It probably had only a few large family units. The rear of the building, facing north, had several wide two story arched bays that appear originally to have been open, or gated. These may have been garages for the occupants - for carriages or horses, but maybe later for cars. Now the bays are enclosed. Syracuse, NY. 501 Catherine Street. Scheduled for demolition. Photo: Samuel Gruber 2016. Syracuse, NY. 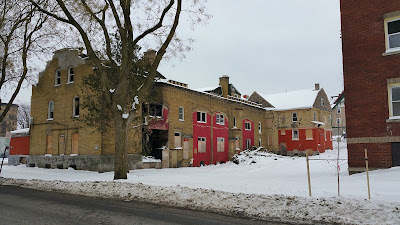 501 Catherine Street, view of rear and fire damage. Scheduled for demolition. Photo: Samuel Gruber 2016. Syracuse, NY. 501 Catherine Street. Rear, showing enclosed bays (garages?). Scheduled for demolition. Photo: Samuel Gruber 2016. The intersection at Catherine and Willow Streets was once a prominent one with Miller Bros. grocery (later J. B. Miller), a popular German food store on another corner, at 500 Catherine St., where the 3-storey 19th-century mixed-used building stands, still home to a small grocery. Syracuse, NY. 500 Catherine Street. This the popular Miller Bros. Grocery Store when Fitzgerald lived at 501. Photo: Samuel Gruber 2016. Just one block up Willow Street is the magnificent Truesdell-Schoeneck House, one of the city's great Queen Anne style residences. One hopes that whatever is built here can respect this corner, respond to the best buildings in the neighborhood (not the worst), and help recreate urban dynamism here. Syracuse, NY. 500 N. McBride St. The Truesdell-Schoeneck House, 1892. From 501 Catherine, looming up the Willow St., one sees the tower. From the back windows of Truesdell-Schoeneck, one can see clearly to the Catherine Street properties. Photo: Samuel Gruber 2014. Added into the mix is the demolition of the former Northrip apartments, a series of 32 apartments in connected townhouse-type residences, at 5-529 Catherine, built by Charles H. Northrip and opened in 1926 (The building was sold to Edward H. Gerber in 1930). 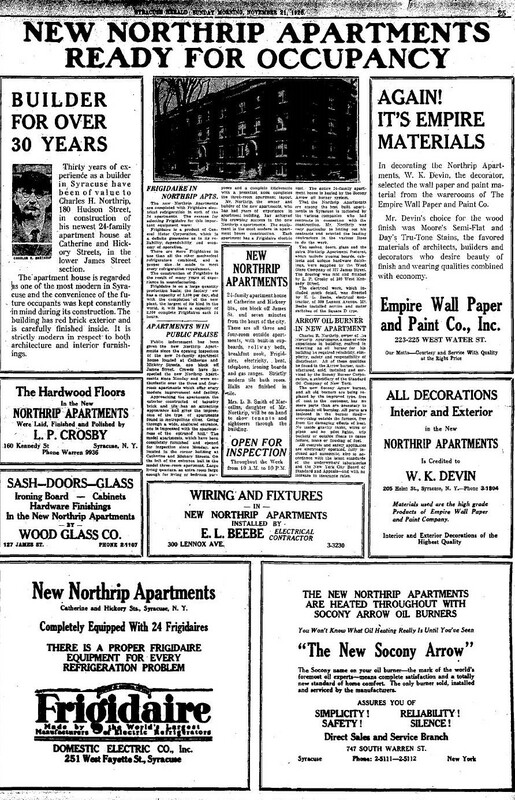 When opened in the prosperous 1920s, the Northrip was advertised as having all the most modern amenities. It boasted its location as only a seven minute walk form Downtown. Though the building is not architecturally ambitious, it is an attractive urban structure, well-proportioned, moderately and modestly decorated, and fully engaged with the pedestrian street. This type of apartment building is related to earlier strip-housing projects on the other side of James Street, notably the Elm Court Apartments on the 300 block of Catherine Street. 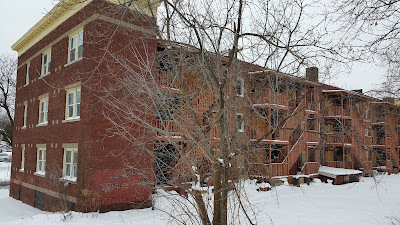 This housing type would become the model for many public housing projects in the 1930s, before high rise housing became the norm.Though unaffected by the fire, this building apparently has serious structural problems which are deemed to costly to remedy. Syracuse, NY. 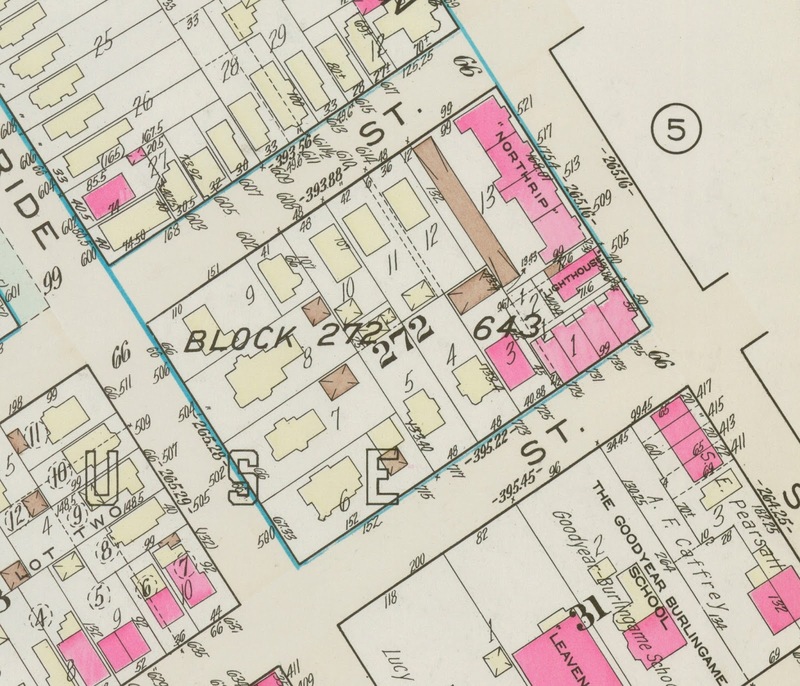 G. M. Hopkins Atlas map of 1938 block 272 showing properties to be demolished. Catherine Street is afar right between Willow and Hickory Streets.. The pink buildings are of masonry. 505 Catherine, here called "Lighthouse," is already demolished. Courtesy: Syracuse University Libraries. Syracuse, New York. Northrip Apartments, 509-521 Catherine Street. Vw. from Hickory St. Scheduled for demolition. Photo: Samuel Gruber 2016. Syracuse, New York. Northrip Apartments, 509-521 Catherine Street. hickory St. facade. Even in a speculative building like this one, simple brick details and a classical cornice are used for aesthetic accent. Scheduled for demolition. Photo: Samuel Gruber 2016. Syracuse, New York. Northrip Apartments, 509-521 Catherine Street. View of rear porches and stairs. Scheduled for demolition. Photo: Samuel Gruber 2016. Syracuse, New York. Northrip Apartments, 509-521 Catherine Street. Detail of one of four entrances. Scheduled for demolition. Photo: Samuel Gruber 2016. Fortunately, despite the loss of these buildings, something good may come of it, if plans for the erection of 50 apartments for needy (often homeless) residents takes shape. One hopes that in addition to providing safe and secure housing to these city residents, the city, Home Headquarters and appropriate agencies will work with the designers to provide some aesthetic relief – and work to recreate the former integrity of the block and to begin to knit this neighborhood together again. Price states that despite their ubiquity, we still know little about the thousands of post-World War II-era churches that fill our cities and suburbs. They are among the least documented and studied of any major group of American architecture. 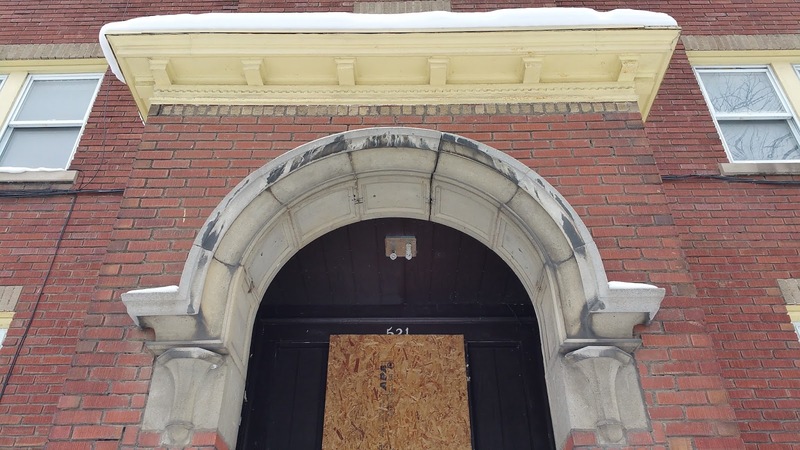 This may be understandable when the buildings are modest vernacular structures, but the neglect also holds true for more distinctive architect-designed buildings. So let me draw attention to one of Syracuse's unsung cultural resources: the large assemblage of striking modern religious building erected across the city in the decades following World War II, before suburbanization radically altered urban demographics. 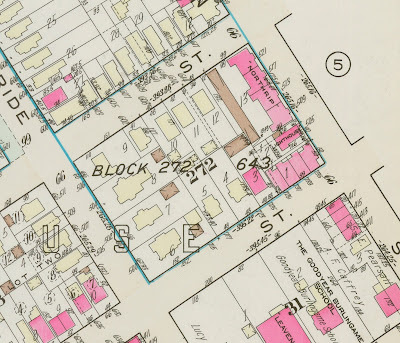 This was a period when older (white) congregations were replacing outdated buildings, but they were still rebuilding within the city limits where, for the most part, their congregants still lived. Their older buildings were often sold to independent Black Protestant congregations. Church commissions in the 1950s and 1960s allowed local architects, such as Anthony Cappuccilli and Gordon Schopfer, to be more adventurous in their use of the modern architectural vocabulary and new materials than in some other more mundane commercial commissions. Though budgets were often small, the results were often impressive. 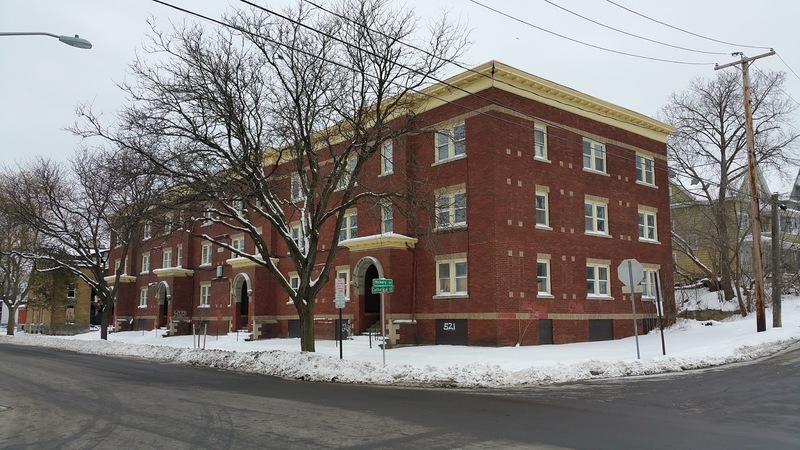 The post-World War II years saw a building boom by religious communities in Central New York. Part of this was due to pent-up demand – there had been an almost complete stop to the building of churches in 1930, once the effects of the Great Depression became clear. Big projects that were underway came to a standstill. For example, on the Westside, while the Lafayette Avenue Methodist Episcopal Church at Lafayette and Midland Avenues, designed by SU architecture professor and noted ecclesiastical designer Frederick Lear, broke ground in 1927 with the Parish House and Community Center and was eventually completed, the English Lutheran Church of Atonement at 1926 Midland Avenue, also designed in a Collegiate Gothic style by Frederick R. Lear, never got beyond its Parish House and Community Center, begun in 1927 and finished in 1928. 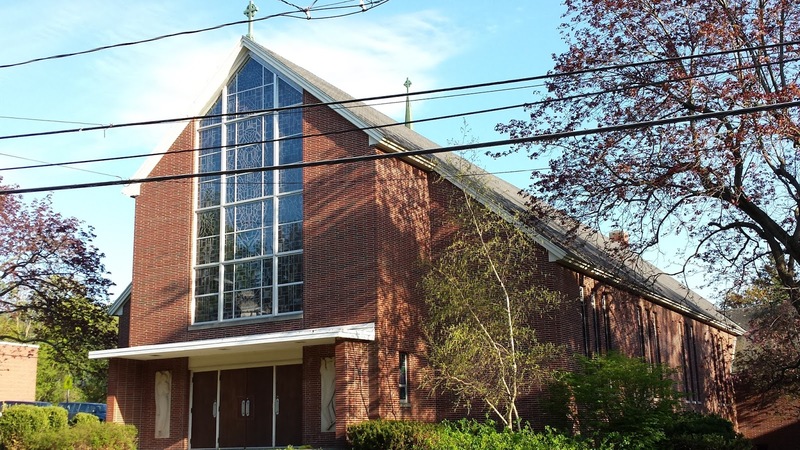 Instead of building on to the old building in the post-War era, the congregation began an entirely new modern church complex on West Glen Avenue in the early 1960s. The sanctuary, designed by Edgarton & Edgarton, is worth a look. While it retains a traditional apsed-hall plan, it is a more bold and raw modern interpretation than big Catholic churches of the time. Syracuse, NY. Former English Lutheran Church of Atonement (1926 Midland Avenue), Frederick R. Lear, arch. Photo: Samuel Gruber 2012. Syracuse, NY. Lutheran Church of Atonement. Edgarton & Edgarton, archs (1962). Photo: Samuel Gruber 2012. Some urban churches and synagogues stayed put and added on to their older sanctuaries. In 1930, Plymouth Congregational Church added a wing in the then popular Colonial Revival style to their older Victorian sanctuary. In the post-World War II period congregations often added more modern wings to their earlier buildings. for example, Temple Society of Concord, dedicated in 1911, added a new religious school building in 1960 designed by Edward G. Roock. Since the addition was to the rear of the historic Classical style sanctuary, it did not compete stylistically. At the former Elmwood Presbyterian Church (recently sold to Mount Pleasant Missionary Baptist Church and now the Harvest Christian Center), however, a new modern wing was attached immediately next to the stripped-down Gothic style building designed by Melvin King and erected in 1917. Though similar materials were used in the addition – yellow brick and beige concrete or cut stone – the two wings visually compete to the detriment of each design. 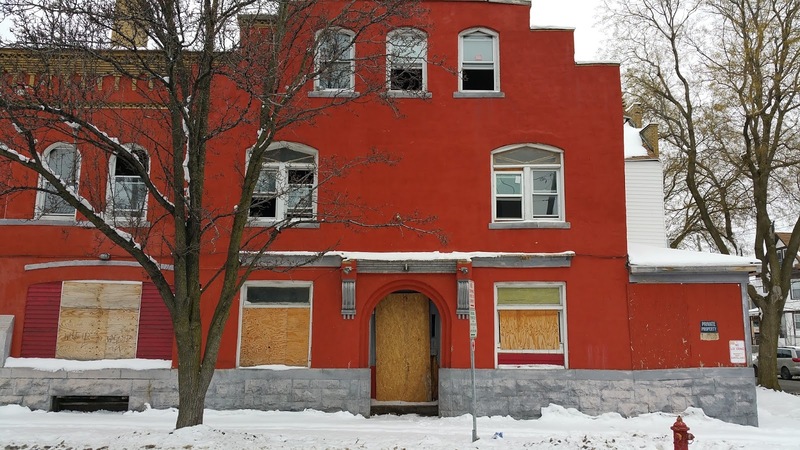 In 2014, my colleague Bruce Harvey I carried out a survey of religious properties in the City of Syracuse sponsored by the city and funded by Certified local Government grant from the state. We looked at over 120 structures including churches, synagogue, school and convents that were purpose built by and for religious congregations and communities. 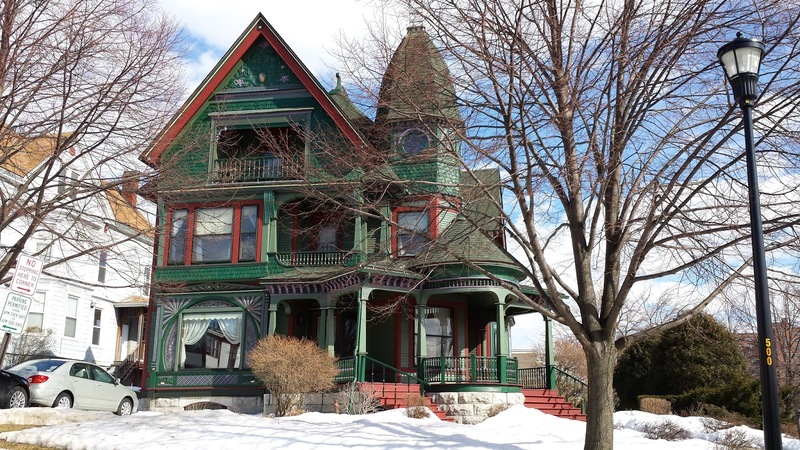 The earliest in the city are from the mid-19th century and we carried the work up until 1964, since fifty-year-old buildings are eligible for listing on the National Register of Historic Places. I admit that I was surprised to find so many attractive and often imaginative churches in the city. Previously, I'd only paid attention to those few designed by nationally celebrated architects such as May Memorial church (designed by Pietro Belluschi) and Temple Adath Yeshurun (designed by Percival Goodman). There is no single modernist path taken by church architects, though those working for the Roman Catholic church tended to adopt of more conservative style - combining traditional basilical forms with pre-WWII Art Deco related massing and decorative programs, but with the use material, too. But even for the Catholic Diocese, which was the most active builder of modern churches, there could be a mix - as on the Northside, where Cole and Cappuccilli designed a complex of buildings for Our Lady of Pompeii include the a stripped down modern version of a medieval basilica for the church, but strikingly modern assemblages for the church rectory, and the nearby school and convent. Indeed, the Convent of Our Lady pf Pompeii should be ranked among the very best modern buildings in Syracuse. In this post I'd like to give just a visual introduction to some of these religious buildings, and then in later posts I'll write about individual structures and architects at greater length. In Eastwood, plans for an expansive Roman Catholic school and Church of the Blessed Sacrament were put on hold. The school, designed by Paul Hueber, was built in 1930, but the church was not erected until 1950, one of the first religious buildings erected in the city after the War. In form it recalls many churches of the interwar-period where medieval forms were stripped down to their basic geometry and decoration tended to be applied as flat relief. A similar combination of old and new forms were common interwar commercial architecture, which I elsewhere dubbed "Goth-Deco." 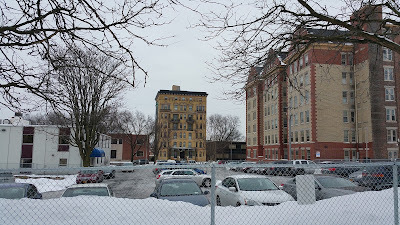 In the 1950s, the Catholic Diocese was the biggest builder of churches in the city, where new housing was filling open land in the last big residential building boom experienced in Syracuse. The church was also building schools, convents, care facilities and the campuses of Regina Salve Seminary and LeMoyne College. Our Lady of Pompeii on the Northside became the religious center of the city’s large Italian immigrant population. The old church begin in 1924, which shared space with a school (cornerstone), was replaced with a new large church and rectory, begun 1951 (cornerstone), a large school expansion, and an architecturally striking convent, all designed by Cole and Cappuccilli. Together, this large program of church building created a striking modern insertion into an old and traditional neighborhood. Transfiguration Church, serving mostly the Polish-Catholic community, was built on Teall. Ave. from 1955-58. It is another exceptional example the Church’s melding of traditional forms with new style details. The tower carries into the 1950s something of the modern style of the 1930s. On the Southside the development of the Roman Catholic church and campus of St. James began in the early 1930s, when St. James Hall was completed. But most structures, including the church, were not built until the late 1950s, designed by Frank W. Brodrick. The general style for the church and the adjacent school, blends Romanesque medieval elements with a austere modern aesthetic. Our Lady of Solace on Salt Springs Road was built in the mid-1950s, designed by Pederson & Hueber. An essentially tradition gable-front hall plan church with side tower, the open space interior is notable for its stained glass window program created by the Henry Keck Studio. 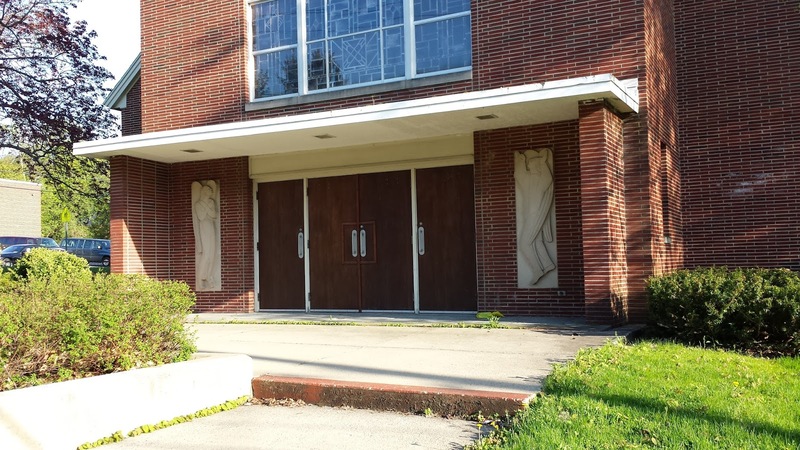 The relief panels flanking the entrance may be the work of great Croatian sculptor Ivan Mestrovic, who was teaching at Syracuse University at the time, and left for Notre Dame in 1955. The attractive former Catholic school (Our Lady of Solace) across the street was apparently designed by Maurice Finnegan (Allen Kosoff source). Syracuse, NY. Former Our Lady of Solace, Salt Springs Road. Pederson & Hueber, archs. (1950s), Photo: Samuel Gruber 2014. Syracuse, NY. Former Our Lady of Solace, tower entrance. Pederson & Hueber, archs. (1950s), Photo: Samuel Gruber 2014. Syracuse, NY. Former Our Lady of Solace, Salt Springs Road. Stained glass by Henry Keck Studio, 1955, Photo: Samuel Gruber 2014. Syracuse, NY. Former Our Lady of Solace, Salt Springs Road. entrance relief possibly by Ivan Mestrovic, Photo: Samuel Gruber 2014. Gordon Schopfer was one of the most innovative modernists in the Central New York, and his work included residences and a few small houses of worship. In the mid-1950s he designed the Young Israel Synagogue on East Genesee Street, as a small structure of distinct and multiple parts, each pertaining to specific function. The variety of shapes was further accentuated by the use a different surface treatments. When built this must have been one of the most forward-looking Jewish Orthodox synagogues in the country, though unfortunately the building has been much changed for its present non-religious use. Syracuse, NY. Congregation Young Israel, East Genesee and Allen Streets. Design. Gordon Schopfer, arch. Image from Empire State Architect,1955. Syracuse, NY. Congregation Young Israel, as built, 1957. Gordon Schopfer, arch. Photo: From a minyan to a Community, p. 234. On the Northside, off Grant Avenue near Shop City, Trinity Evangelical Lutheran Church was also designed by Schopfer and built between 1958 and 1961, and survives in good condition. It is a fine example of mid-century modernism, combining rationalist elements derived from the architecture of Mies van der Rohe, with more expressive features familiar in the designs of Columbia University architect and planner Percival Goodman.A more unusual design is for Schopfer's own congregation, the Reformed Church of Syracuse on Teall Avenue, where the unusual steeple is meant to recall an church. Goodman himself was engaged to design the new Temple Adath Yeshuran on Kimber Road in the 1960s, and created one of the region’s most expressive designs for a house of worship. This is one of Goodman’s last synagogue designs (of over 50) executed between 1945 and 1970. Syracuse, NY. Temple Adath Yeshuran, Kimber Rd. Percival Goodman, arch. Photo: Samuel Gruber 2013. About the same time the celebrated modernism Pietro Belluschi designed the new May Memorial Church on East Genesee Street (with Hueber Hares Glavin). Syracuse, NY. May Memorial Church. Pietro Belluschi, arch. (1964-65). photo: Samuel Gruber 2014. In the late 1960s Hueber Hares Glavin designed several area churches that continued these expressive qualities including St. Daniels Church (1968), Our Lady of Lourdes (1969) and the Church of the Immaculate Conception in Fayetteville (1969). “Ground Broken on Site for St. James Church,” Catholic Sun (Sept. 17, 1959). “Transfiguration to be Dedicated on October 28,” Catholic Sun (August 30, 1956). 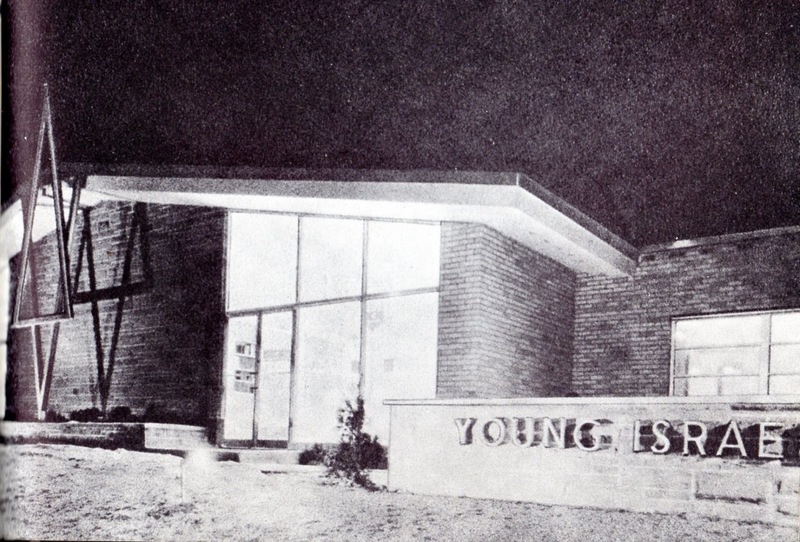 “The New Synagogue for Young Israel of Syracuse,” Empire State Architect, Vol. XV:V (Sept/Oct 1955), 41.